Why Upload Your Full-Res Originals? 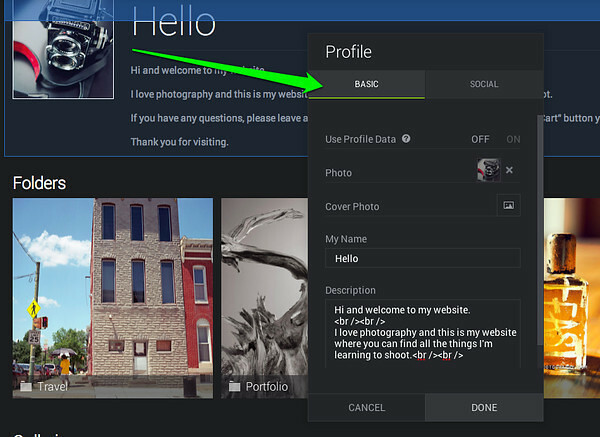 FAQ: Why Switch to the New SmugMug? How Can Search Help My Sales? Why Print in a Digital Age? Andi Grant: A Wedding Pro's Love Affair with "Events"
Adventure Photography: Is It Worth the Risk? In the week since the new SmugMug was born, we've been blown away by some of the gorgeous websites that we've seen from you! But we've been also hearing from folks who miss the old legacy look, and want a newer version of it instead of a completely different website. No problemo, amigo! Here's how to do it in just a few steps. 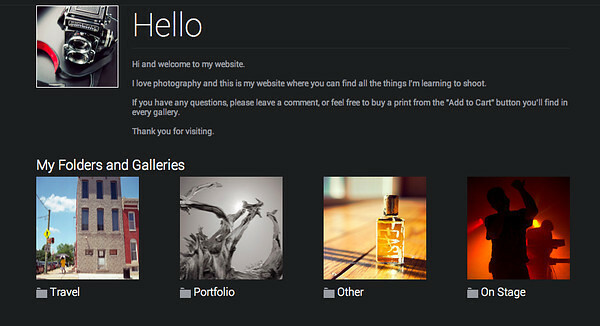 After you've migrated your photos, you'll see all available designs for your account level. If you're already using something else, simply click Customize > Choose a New Site Design from the top of your page. Choose the first design, called "SmugMug." Click the wrench on the top box to open up your profile settings. Fill that in with a little blurb about yourself and what you do. If you wish, invite people to leave a comment or to email you! 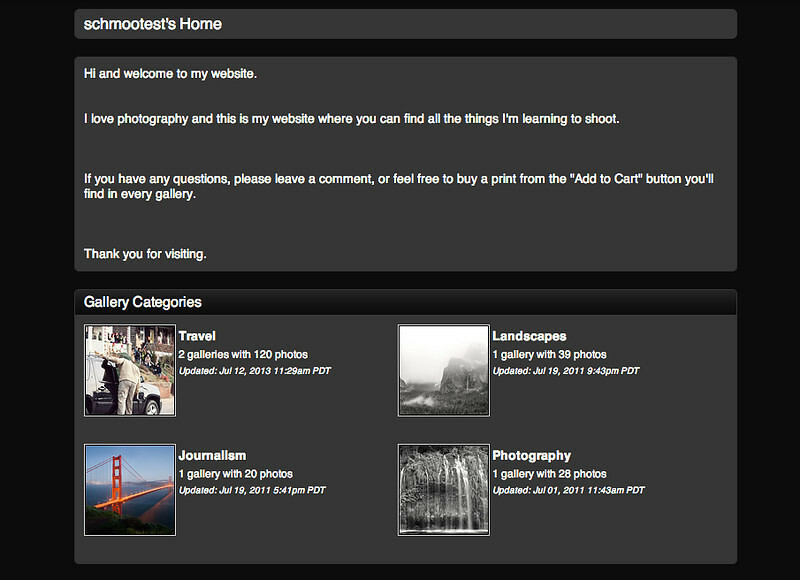 If you've already filled in your Profile, you can toggle it to automatically display the content you have there. 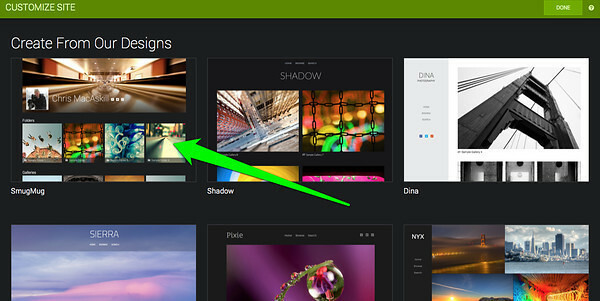 If you want your homepage to display your top-level Folders and galleries, you can leave the default boxes alone. Otherwise, click the wrench in the corner to edit what shows up. 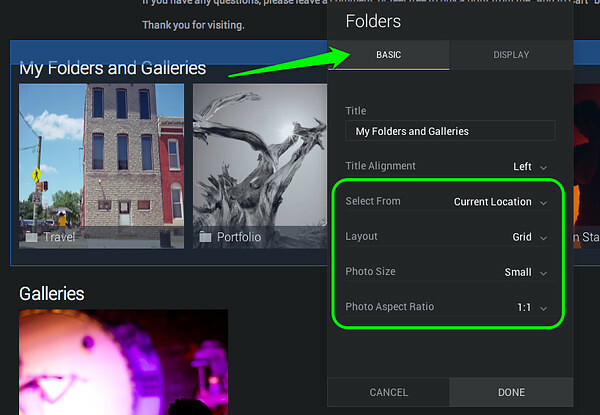 From the Basic tab, choose specific folders and galleries via the "Select From" dropdown in the settings box. For the legacy look, you'll want to change the thumbnail Photo Size to "Small," and keep the 1:1 ratio. Then click the Display tab. Tweak the spacing between your tiles, and change the Info Style to "Under." 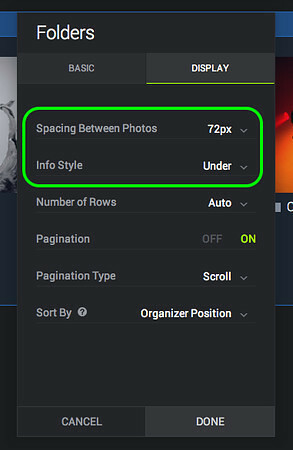 To get the classic single column look, click the Layout tab of your customization menu, and change "Stretchy" to "Fixed." You can specify the width here, but the default is 960 pixels. From there, you're all set! You've got the classic profile + gallery content all ready and waiting for your fans to see. Of course, you can always tweak the settings more on any of the content on the page, or add more boxes to your heart's content. That's the beauty of the new SmugMug! How do I use the new designs? No SmugMug Account Yet? No Problem.